This is a film about fulfilling your dreams. This is a film about war against yourself and victory. This is a film about music, but above all this is a film about rhythm. Vanja Kovačević was born in 1978. in Ruma, Serbia. Since 1997 she lives, studies and works in Belgrade. 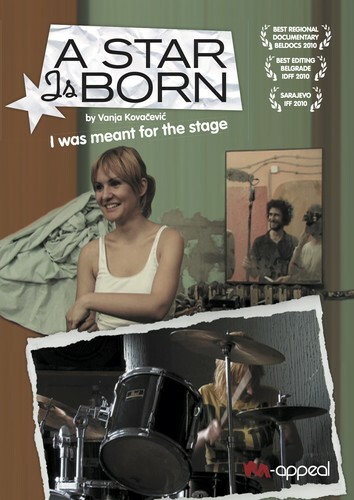 After pursueing her MA at the Faculty of Drama Arts in Belgrade at the department for Editing for film and television, Vanja worked as a film journalist and author at the “B92” radio and TV station in Belgrade for 4 years (1998–2002). She was part of the “Berlinale Talent Campus” in 2005. Vanja has worked as editor on over 40 music videos and other short commercial forms, also as an assistant editor and editor on numerous short fiction films, documentaries, feature films, TV series, as well as director and assistant director on various projects.